List Rules Vote up the technologies and gadgets that give you the most "Big Brother is watching" vibes. Technology has been a wonderful gift to humans ever since the first person picked up a rock and fashioned it into a tool. Fast-forward a couple hundred thousand years and technology has grown to the point where we can fly across the world, communicate in real-time anywhere on the planet, and even put a little pod in a machine to get a cup of coffee. With all these advancements, you might think technology was the greatest thing since sliced bread, but there's a dark side of dystopian, invasive new technologies people fear could lead us to problems of epic proportions! Sci-Fi wouldn't exist were it not for the concerns of AI running amok or Big Brother spying on us all the time. Concerns over the misuse or misapplication of technology isn't necessarily a bad thing. People have made things that have wreaked horrific devastation across the planet throughout history and 2019 may not be different given the crazy technology out now and the devices that will be rearing their ugly heads in the coming year. Granted, most people don't set out to create the next doomsday scenario and 2019 promises to release some amazing new tech, but that doesn't mean these weird new gadgets set for release or widespread use in 2019 won't bring about the apocalypse... They probably won't, but it's not a bad idea to stay vigilant. A Deepfake video is one that utilizes specialized technology to put someone's face onto another person's body or even create a realistic portrayal of a real person. The primary purpose of this tech has been to create pornographic videos of people who don't appear in them, but the trend for 2019 suggests a wider distribution into our daily lives. It is possible to create videos of people doing and saying things they never did or said. Jordan Peele demonstrated this in April 2018 with a video he helped make of President Barack Obama. For most of 2018, Deepfake Videos were only found on adult websites, but the concern for 2019 and beyond is that the tech will continue to improve to the point where it won't be possible to tell whether a video is a Deepfake or not. When that happens, expect to see more and more videos of politicians and celebrities doing and saying horrific things to help sway public opinion when they had nothing to do with them at all. Is this new tech terrifying? In December 2018, Walmart received a patent for a type of tech that would enable the retailer to listen in on its workers. This new type of surveillance system employs a variety of sensors placed throughout the checkout area of a store. The sensors would collect and analyze the collected audio data, which would include anything from the sound of a cashier bagging items to conversations between employees speaking in hushed tones. Walmart could then use the data to evaluate an employee's performance and anything else about them that could be picked up audibly. 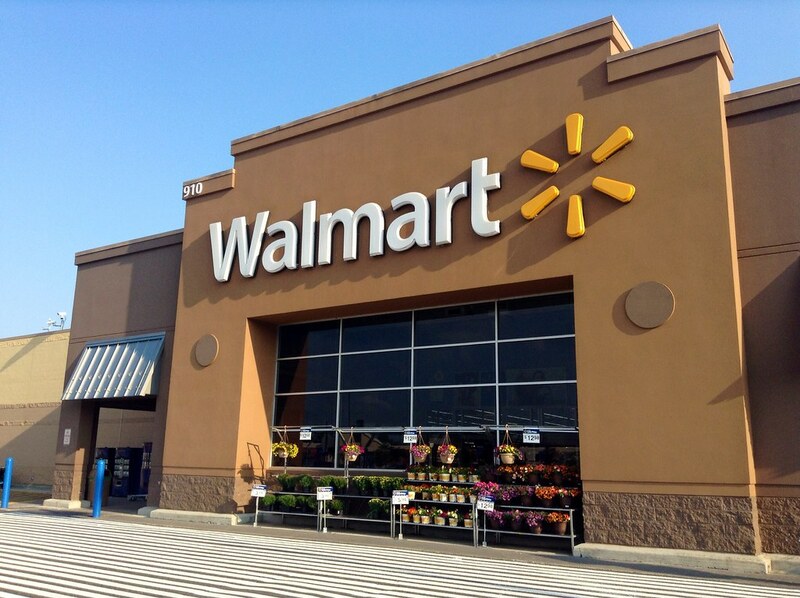 The announcement of the patent approval immediately caused an uproar among Walmart employees who prefer not to be spied on by their company. Further talks of unionizing suggest this technology, if implemented, could change the lives of the estimated 2.1 million people the company employs. Drones aren't a new technology seeing as they have been around in one form or another for years, but hobbyists present a new threat for 2019 law enforcement may have a difficult time countering. Hobbyists and DIY Drones could prove to be a significant threat to infrastructure, telecommunications, and even people's lives in the coming year. A commercial drone has various safety features built in that can be used to track them to an owner, but a DIY drone has none of these. That means a person could create a small inexpensive drone capable of carrying anything from a cellphone tower jammer to a small explosive device. A large drone built by a terrorist could carry as much as 3kg of explosives, which it could deliver at high speeds and from high altitudes making it difficult to intercept and stop. This threat isn't just sci-fi, it became reality in 2018 when the President of Venezuela was the victim of an assassination attempt by a small fleet of drones carrying bombs. If you've seen the Black Mirror episode about robotic bees with a slaying streak, you already know this is a bad idea. Walmart filed for a patent for a type of pollination drone that could lead to swarms of robotic "bees" capable of pollinating a large area at a time. These small devices would come equipped with cameras they could use to identify crops or other plants in need of pollination. Ideally, they could help to continue pollination as the honeybee populations around the world continue to disappear. It's a good idea, but thanks to Black Mirror and other sci-fi dystopian ideas, it's still a scary prospect. These would be large swarms of robots equipped with cameras, but they could also be single units capable of spying on people anywhere they wanted them to go.